Do you need to get removals quote super quick? Then ringing this number should do the trick – 020 8746 4402. Our removals company in Uxbridge, UB8 is quick and efficient and can give you a personalised quote in just a matter of seconds. So don’t wait around for call-backs from other local firms when you can get an outstanding service from Moving Service. Our team guarantees to make your house or office removals in Uxbridge a roaring success and will never leave you in need of anything else. All of our moving services are designed with you in mind and have been made to give you real peace of mind. 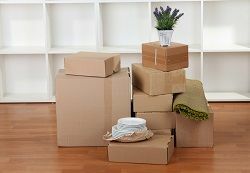 Packing, driving, lifting and loading are all part of our removals list, along with unpacking and the dreaded clear-up. Our basic van hire deals are also bound to wow with modern removal vans in Uxbridge, UB8 available at discounted rates. So if you want to use a local firm which you know you can trust, book your move with us before it’s too late. All of our deals can be booked online or over the phone meaning that there really is no excuse not to get in touch. The area has been identified as one of London’s major metropolitan centres and has a bustling shopping centre with a vast array of cafés, restaurants and shops. Home to Brunel University, it is a popular district with students and young professionals and has a lively nightlife in the diverse selection of clubs and bars. Part of the London Borough of Hillingdon, it is 15 miles northwest of the central Charing Cross district and sits at the very end of the Piccadilly and Metropolitan tube lines in zone 6. Within just fifteen minutes of the M40, M25 and M4 roads, the UB8 and UB9 areas are very well-connected and are ideal for a wide range of commuters. Houses here tend to have Victorian roots and offer much better value for money than some of their more central counterparts. 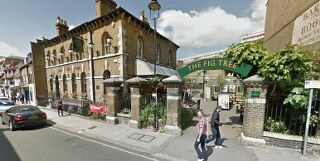 As a result, the area is popular with first-time buyers who need to get a foot on the ladder. Uxbridge has two major shopping centres known as The Pavilions and Intu Uxbrudge as well as a traditional pedestrian high street. In addition to this, there are also a number of leisure facilities to frequent including the Hillingdon Sports and Leisure Complex and Uxbridge Cricket Club. A Professional Moving Firm For Quick & Efficient Uxbridge Moves! When you book one of our removal services in Uxbridge, UB8 you get much more than just a moving van and driver. All of our man and van and enhanced moving services include the use of one of our expert local movers. With excellent training and an eye for detail, we can guarantee that our Moving Service movers are the best in the business. So if you want your move to be managed by an experienced worker, call 020 8746 4402 to check our availability. With an extensive team of moving personnel and modern removal vans in Uxbridge, we are sure to have a service that can help you out. Remember that our moving firm has a deal to suit any household budget so mix and match our services until you get exactly what you want. As well as offering traditional van hire and man and van services, our team also offers a great range of extended packages. So if you ever need any removal assessment services or packing help, don’t be embarrassed to ask us for a quote. Our online moving guides even include some priceless tips to help save you money and make your move stress-free. Needed to part ways with my cosy little flat and proceed to move in with my partner over in Uxbridge. Decided to give Moving Service a try, as far as removal firms go, they seemed on the up and up. I made an excellent choice here! The crew was very nice and did not mind me 'overlording' a little here and there. 5 Stars!